Mark with red the upcoming September 23, because the second edition of the craft fair “Fet a maLGRAT” arrives in Malgrat de Mar. This fair will be made with the collaboration of two entities of Malgrat: Associació de Puntaires and La Merceria and will have the participation of about twenty stands specialized in Patchwork material, bobbin lace and work. If you do not know what it is, patchwork is the art of joining fabrics of different colors and sizes (cuts) using various techniques to get to form different motifs and useful or simply decorative objects such as boxes, paintings, quilts, bedspreads, pillows, tablecloths … Patchwork, is an art that pursues precision in the drawing, cutting and assembling of pieces of clothing, but for its practice does not need any previous experience. Therefore, any person, adult or child, will quickly see developing their own creativity, without requiring any prior knowledge of sewing. 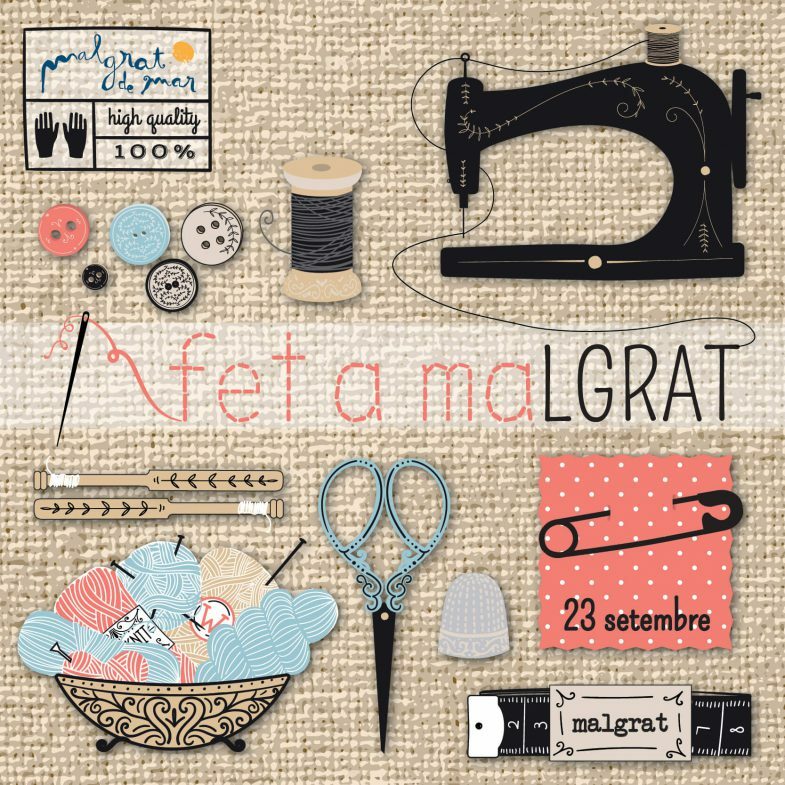 For this reason, the fair “Fet a maLGRAT” is aimed at all types of people, all ages and with or without experience. During all the Saturday you will be able to realize workshops at the foot of street in some of these stops and also will count on a Master Class in charge of Jacqueline Bahí. At the end of the day, the draw of a sewing machine model JANOME 3622 will be made. In addition, throughout the day you can visit the exhibition of works done by the entities participating in the fair: l’Associació de Puntaires and La Merceria. Hey! If you come from outside, apart from visiting the fair, we propose you to discover the amazing Parc Francesc Macià, an enclosed park with several zones with different uses, such as a space for skateboards, sensorial play areas, shelters and children’s games and dolls that they will delight small and great.